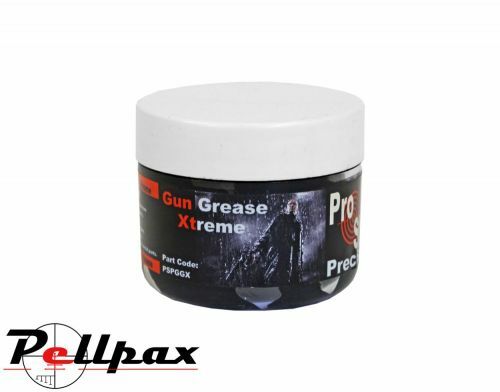 Gun Grease Xtreme from ProShot Precision is an EPM Molybdenum grease which has been formulated for use on metal gun parts for excellent lubrication properties. Examples of parts it can be used on are springs, metal gears, bolts, triggers, and other moving metal parts inside a firearm. The formulation reduces wear to extend the working life of the metal parts and gun. Add this item to your basket & spend an extra £497.20 to apply for finance.